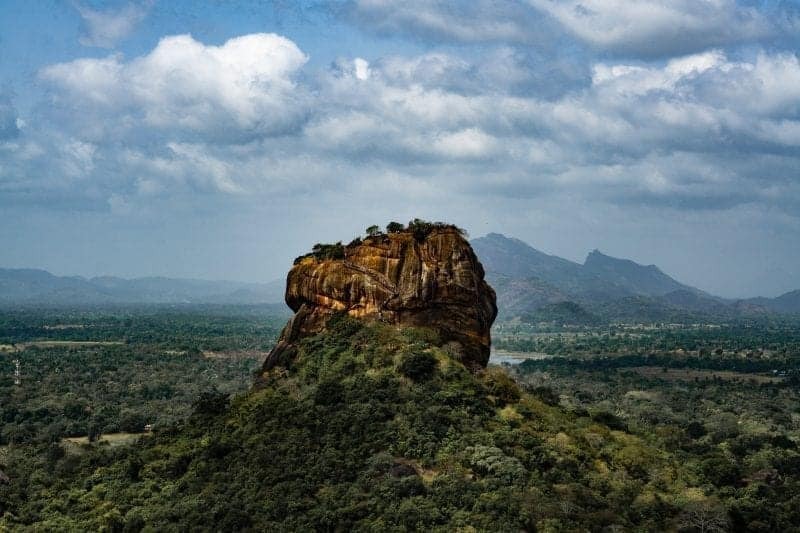 Sri Lanka was named one of the top places to visit in the world for 2019. There’re many reasons why this beautiful country was picked! I visited Sri Lanka just over 1 and half years ago and it was always one of my favourites. Being a huge fan of India (north and south) I remember being so excited to see what Sri Lanka was going to be like as it sits just below India. When I arrived, I was blown away as to how much I loved the country. 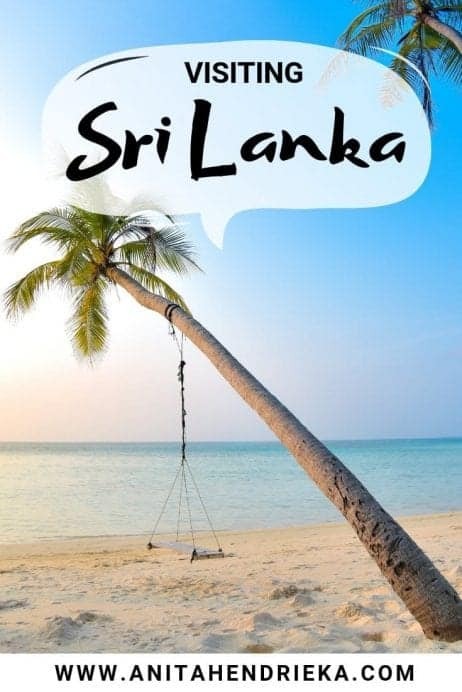 I only had a week in Sri Lanka so I hope in the near future I will be able to go back and experience more what this beautiful country has to offer. You cannot get a visa on arrival. You have to fill your Sri Lanka visa application online in order to apply and enter the country for a total of 30 days. The process only takes 5 minutes to complete and usually, you’ll have your visa with you in the next day or two if you have filled everything out correctly. You must have a return flight or a flight outwards of Sri Lanka in order to get a visa. The process is easy enough, and especially if you do it through E-visums. 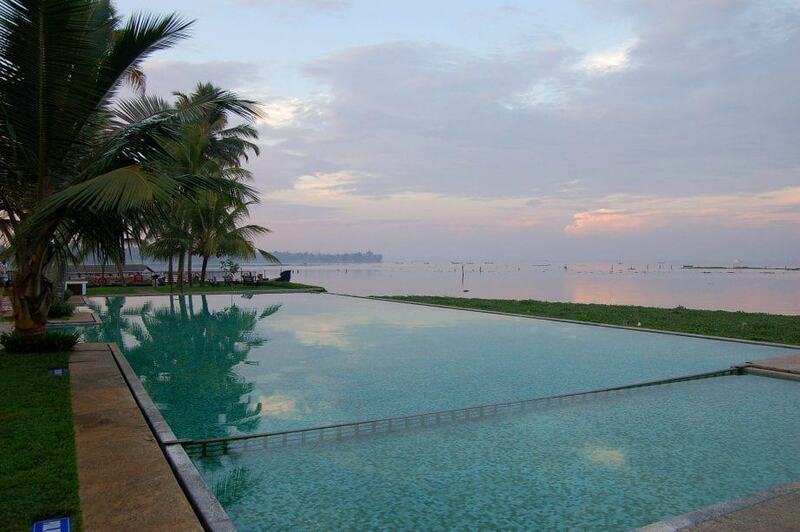 Sri Lanka has one main international airport called Bandaranaike, just 30 minutes from the capital of Colombo. The country has its own airlines called Sri Lankan airlines, they are actually one of my top 3 flight carriers. The service is really amazing, the food was pretty good for airplane food and well, free alcohol. The prices are actually some of the cheapest which is why I usually try and fly with them if I’m going from Europe back to New Zealand. 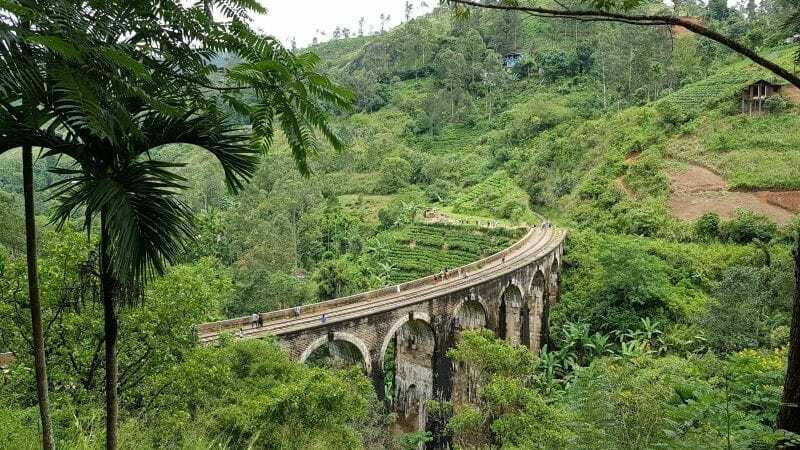 The best way to travel around Sri Lanka is by train. This is a fact! Train journeys are incredibly affordable, and they are possibly some of the most scenic train rides you’ll ever take, especially through hill country. On the trains you will notice the doors are open, so you’re welcome to sit or stand at the door or dangle your feet over the edge (but hold on!). There are a number of different classes. I travelled on 3rd class and although it was packed (as it was the weekend) it was clean enough. If you want a more comfortable ride, then you can go for 1st or 2nd class. Although when you see the views you may just want to spend the time at the door anyway! Tickets are to be purchased at the station and not online. Yes, Sri Lanka is safe. Like everywhere in the world there are going to be people who try and scam you. The scams I have heard are very similar to India tourist scams. As a woman travelling alone, you will have to make sure you dress appropriately and take the normal procedures like you would in India. But as a woman travelling alone it’s not as intense as it is in places like Rajasthan, India. Still, as a woman, you should dress appropriately and respect the local customs. Appear confident and don’t give out any personal details on where you’re staying and who you are. 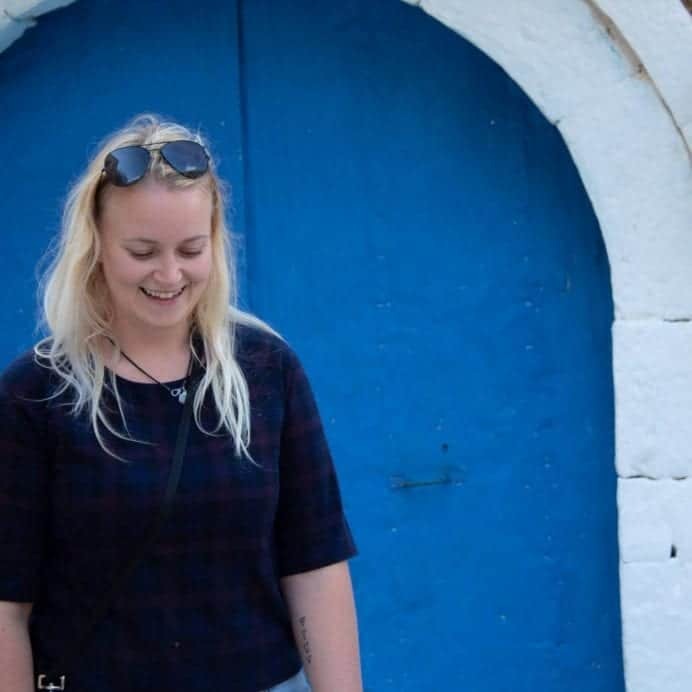 You can read my top tips for females travelling alone. This post was written for India in particular but it applies for Sri Lanka too. 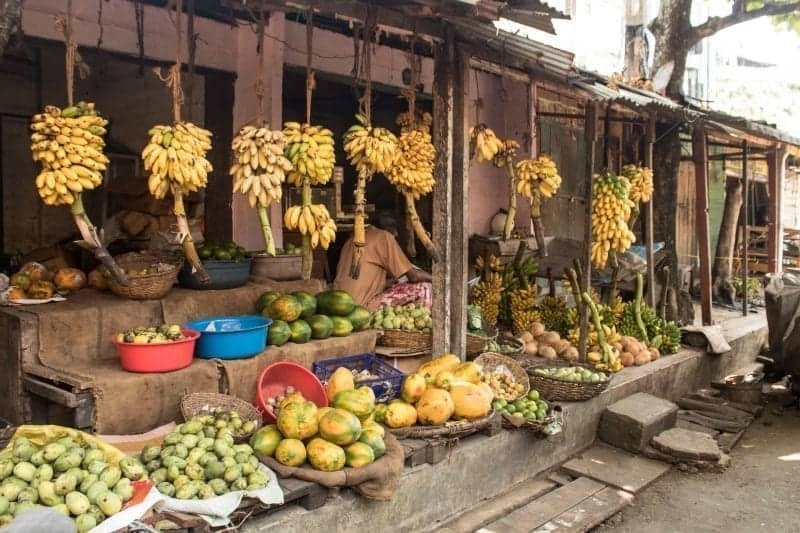 This is one of the best reasons you should visit Sri Lanka – the food! The curries are a must but a tip, order tourist hot and not local hot. If you are not used to spicy food, it can be a little bit of a struggle. In Sri Lankan food there’s a lot of curries. Rice is the staple and then along with that, you will have a curry (either chicken, fish, mutton or vegetable). Coconut sambal is usually served with the curry. It’s a mix of grated coconut with fresh spices and chilis. 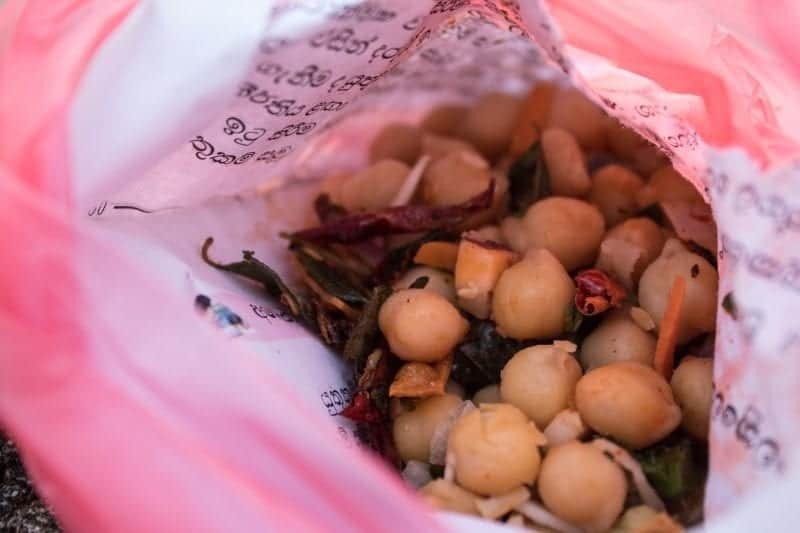 One of my favourite street foods in Sri Lanka was tempered spicy chickpeas known as Kadala Thel Dala. This was the most delicious thing I tried during my trip to Sri Lanka as it has so much flavour. It’s a mix of cooked chickpeas with onions, chilis, mustard seeds, curry leaves and garlic. It’s such a good snack on the road. Once you try this you will be hooked, trust me! 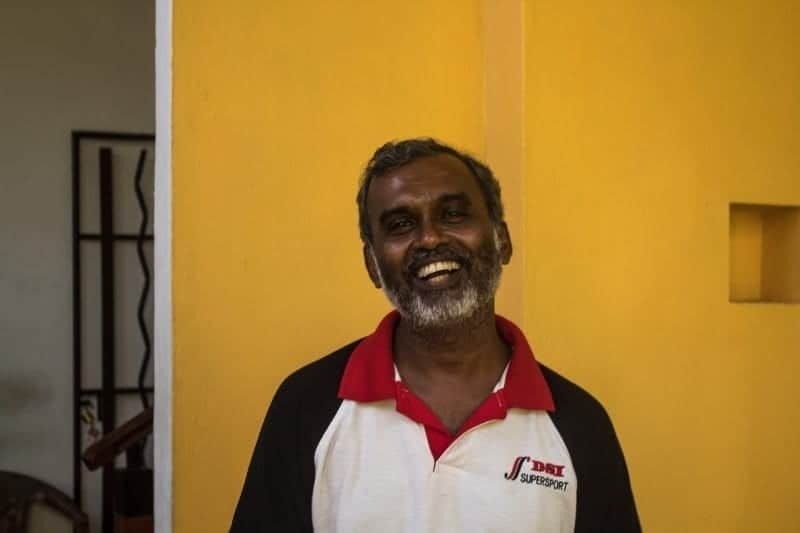 Sri Lankans somehow always seem to have a smile on their faces. They are so welcoming, so helpful and just in general good people. Every time someone looked at me, I would exchange a smile with them, it’s contagious! 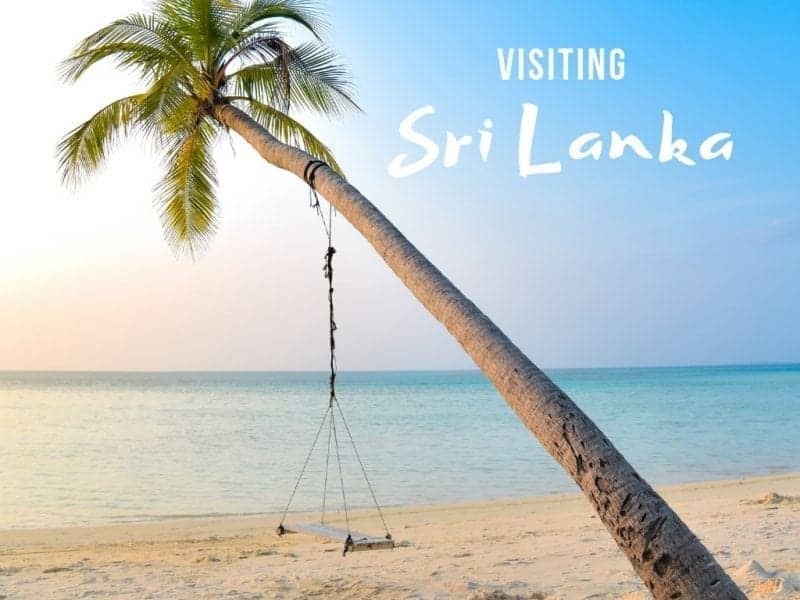 Sri Lankans are very hospitable and are always looking to make you feel welcome. As mentioned before, the food is really incredible. Fresh curries and flavours that will leave your mouth salivating for more. I absolutely loved Sri Lankan food. It’s fresh, healthy and good for the heart! The train rides are a real highlight when coming to Sri Lanka. 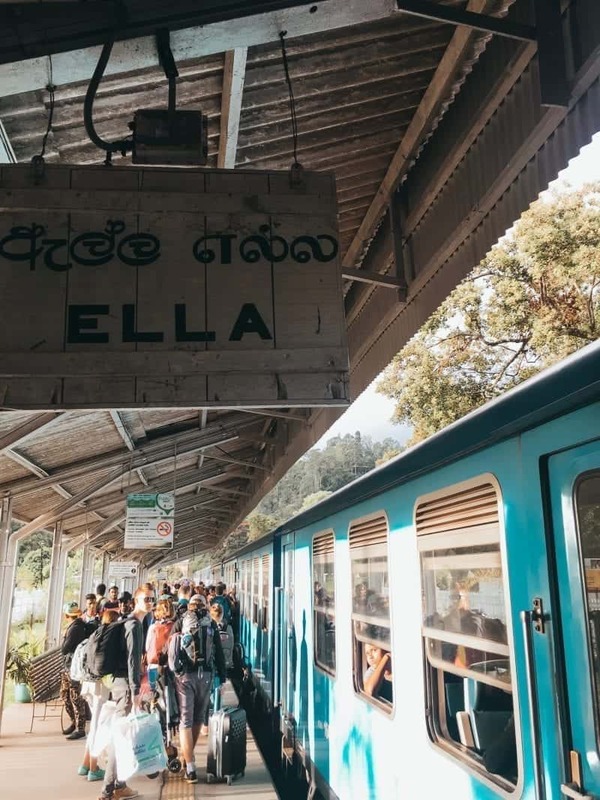 One of the most popular with tourist is the train from Kandy to Ella. In fact, this has become so popular that prices have increased, and the tickets sell out fast. 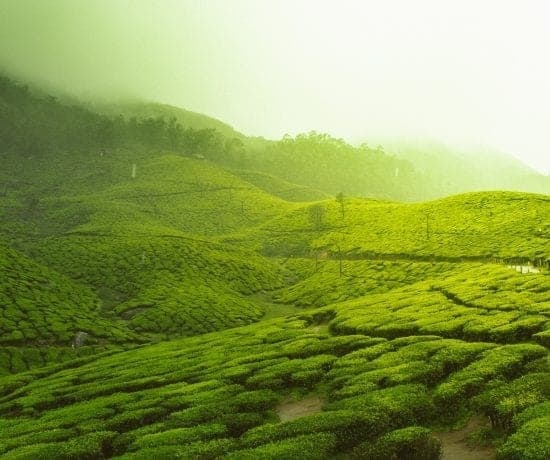 The ride takes approximately 6/7 hours and weaves through hill country and tea plantations. You will definitely want to sit at the door for this one! Sri Lanka beaches are known for being a haven for surfboarders and beach bums. The west coast is definitely the most developed and really set up for tourists. If you want some incredible paradise-like beaches, then the south of Sri Lanka is the one! There are a number of luxury accommodation options and sleepy villages you can hang out in. There a number of great beaches nearby Galle which is a Dutch colonial town. 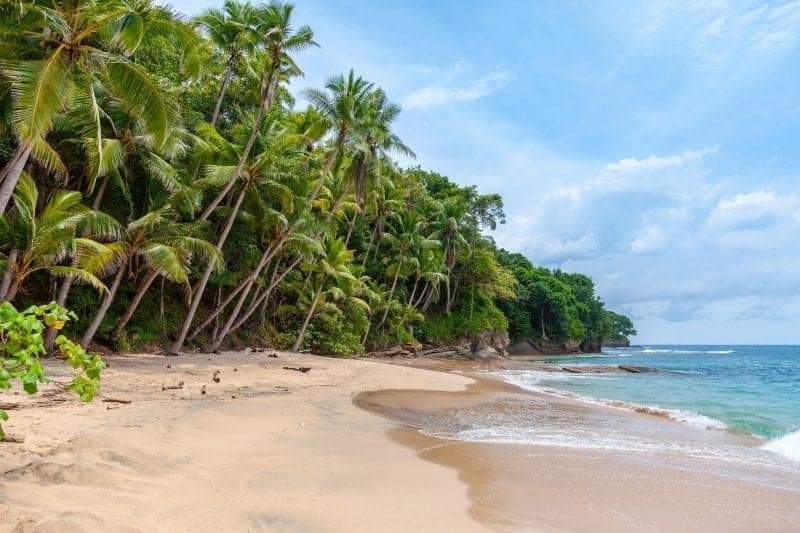 Hiriketiya beach and Mirissa beach are two beautiful beaches you must-see. When visiting Sri Lanka you must check out the wildlife and national parks. The most popular is the Yala National park. 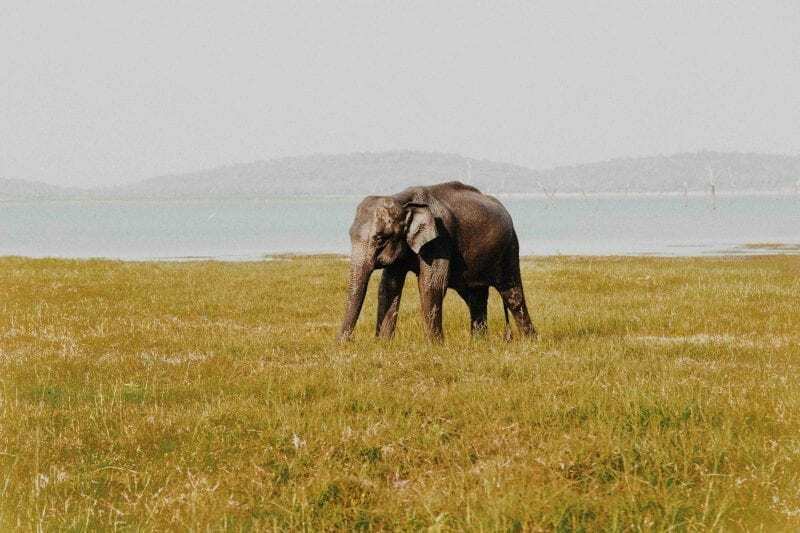 Elephants, leopards, birds and more all roam free in this park, which is situated in the southeast of Sri Lanka. Sri Lanka is a Buddhist country with over 70% of Sri Lankans practising Buddhism. You will find many temples and Buddhist statues all around the country. 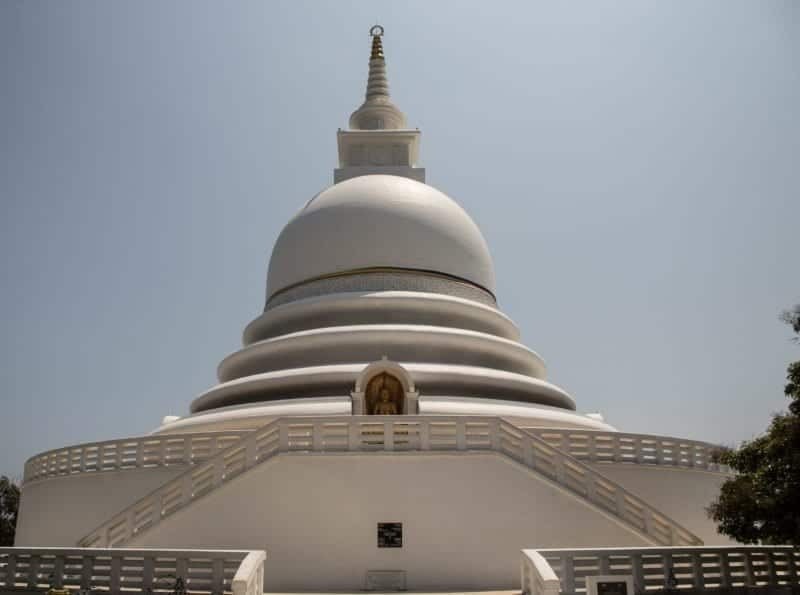 One of the most striking and beautiful Buddhist temples is Unawatuna Peace Pagoda located just outside of Galle. 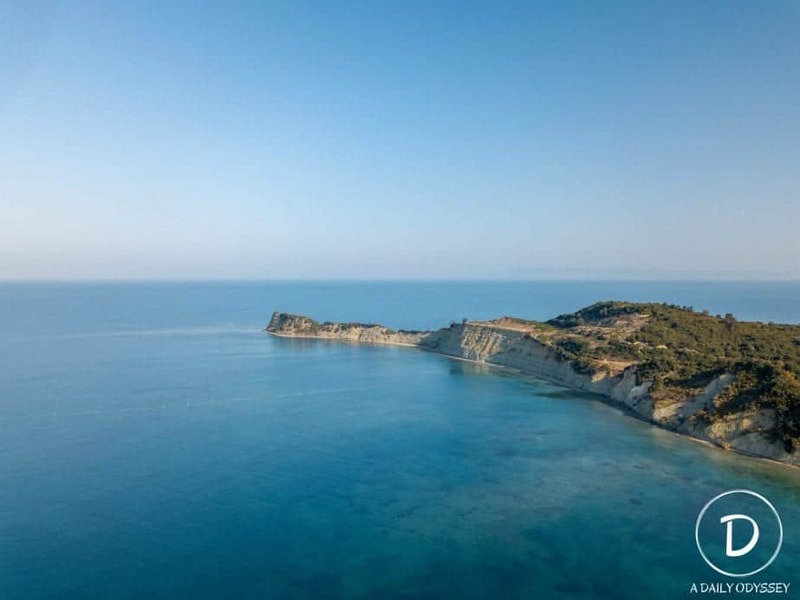 The location is beautiful and there are also many pristine beaches surrounding it too. 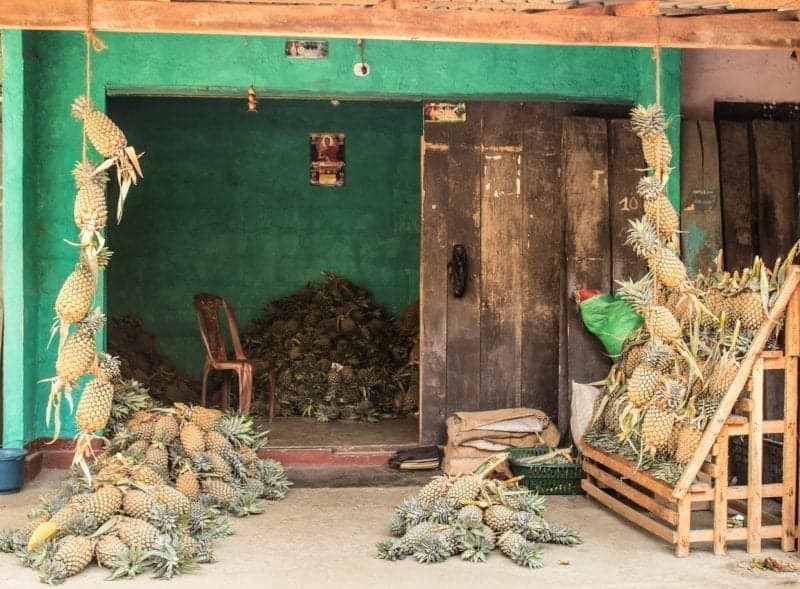 I hope you enjoyed this post and it helped you if you’re thinking of visiting Sri Lanka. There is so much to do and see in this beautiful country, so I urge you to visit in 2019 and beyond! If you have any further questions, then leave them below.